On Tuesday, May 31, 2016 Annie Idibia took to her Instagram page to share her thoughts on how child abuse could result from situations where separated parents and exes stress one another over seeing their children. She then gave a shout-out to Sumbo Ajaba Adeoye, the mother of two of 2Baba’s sons who had since married Pastor Adeoye for being a great woman. This post was not taken lightly by a sister of another of 2Baba’s baby mamas Pero Adeniyi who went into battle Annie. 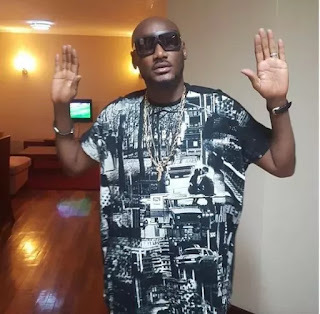 It later turned into a war of words between Annie and Funmi Bazuaye (Pero’s sister) exposing messy details of what manner of a step mother Annie is to 2Baba’s other children. 2baba has seven children from two baby mamas and his wife.